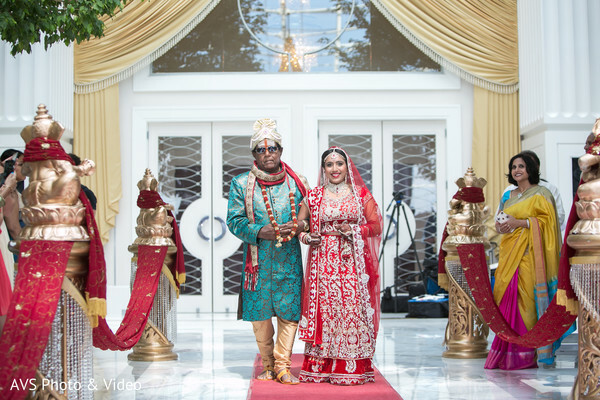 Feat your eyes on a fabulous first look photo shoot courtesy of Advance Video Solutions! 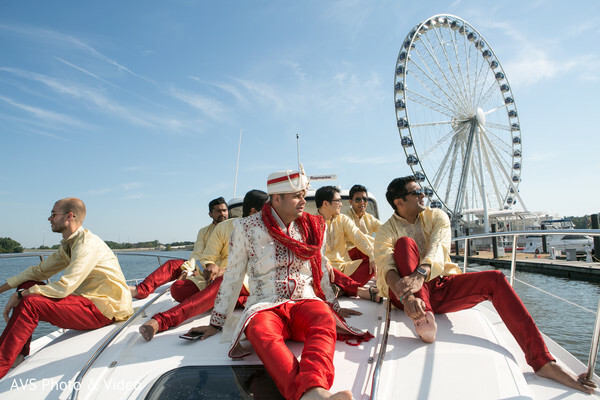 Check out Gul the groom and his trusty groomsmen soaking up the sun on a luxurious boat. 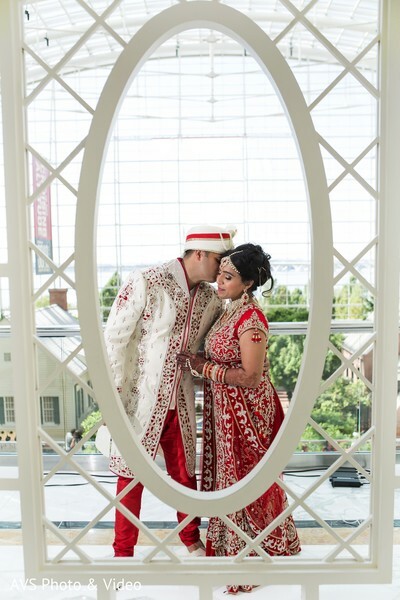 And now, for the lady of the hour the beautiful Sandhya is captivating in her red lengha. 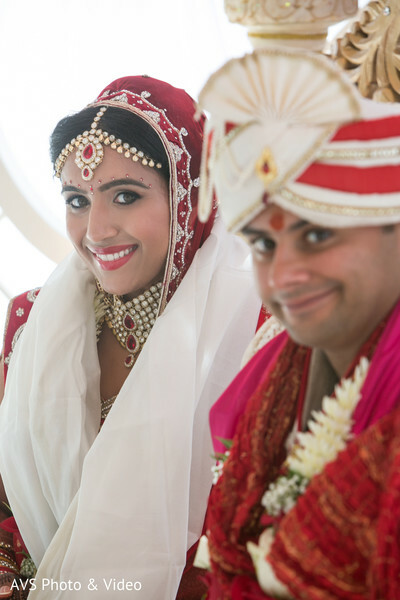 Hair and makeup courtesy of, Bridal Elegance by Suman Khosla, doll up the bride in natural toned eye shadows and a neutral red lipstick. 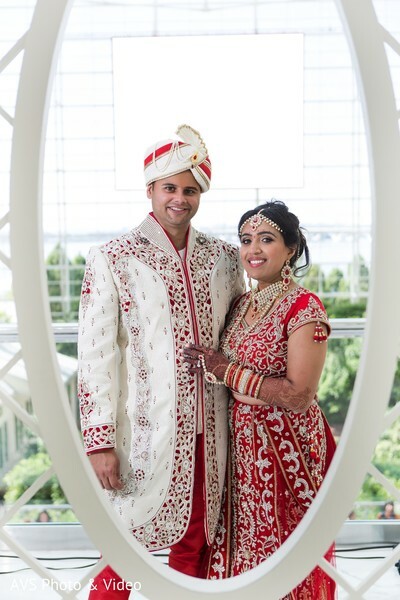 Our darling duo heads to the Gaylord National Resort & Convention Center in Maryland for their nuptials, which are planned and designed by Project Bride DC. 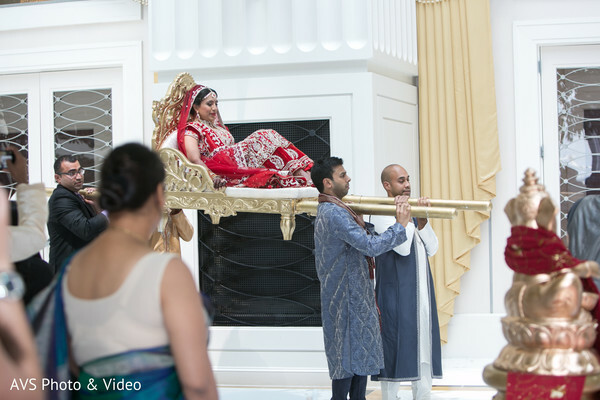 Sandhya is escorting in style to the mandap decorated by floral and decor courtesy of Abhishek Decorators. 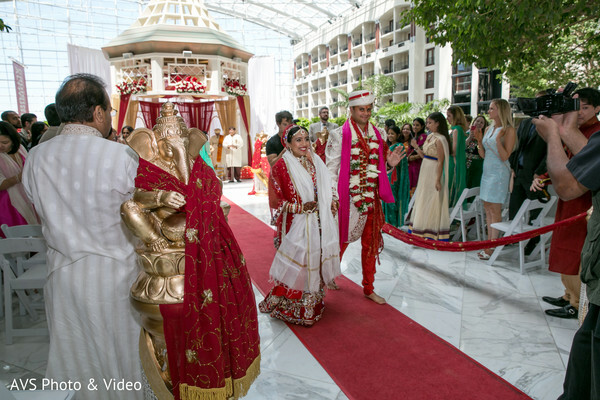 Relive every moment in the gallery! 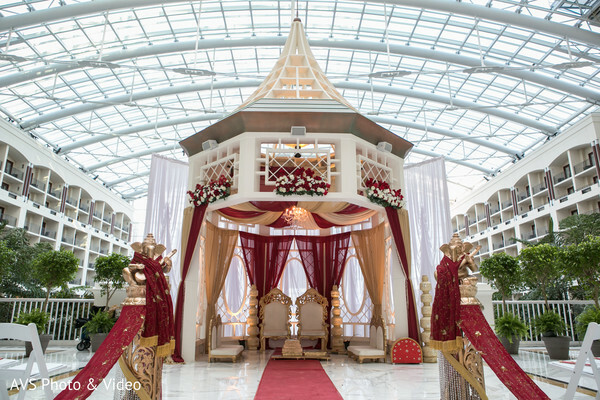 Abhishek Decorators, Bridal Elegance by Suman Khosla, AVS Photo & Video and Project Bride DC are members of the Platinum Guide. Love what you see? Explore their portfolios.